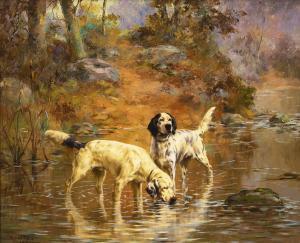 Find artworks, auction results, sale prices and pictures of Percival Leonard Rosseau at auctions worldwide. 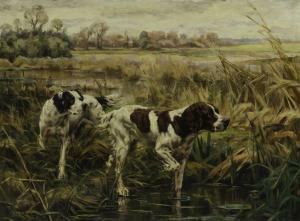 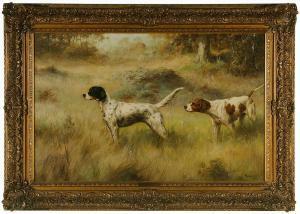 Lot 1170: PERCIVAL LEONARD ROSSEAU (American, 1859-1937) TWO ENGLISH SPANIELS IN AUTUMN LANDSCAPE. 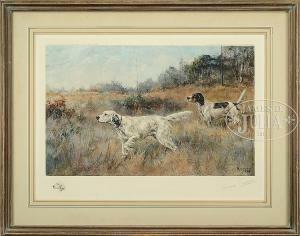 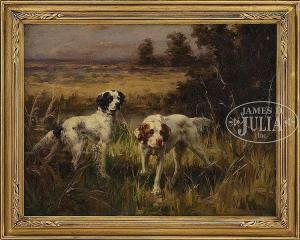 Lot 1307: PERCIVAL L ROSSEAU (American, 1869-1937) TWO WORKS: "SETTERS ON HILLTOP NED & BOB" & "POINTERS JIMMIE DE K & PETERS CARROT ON QUAIL".